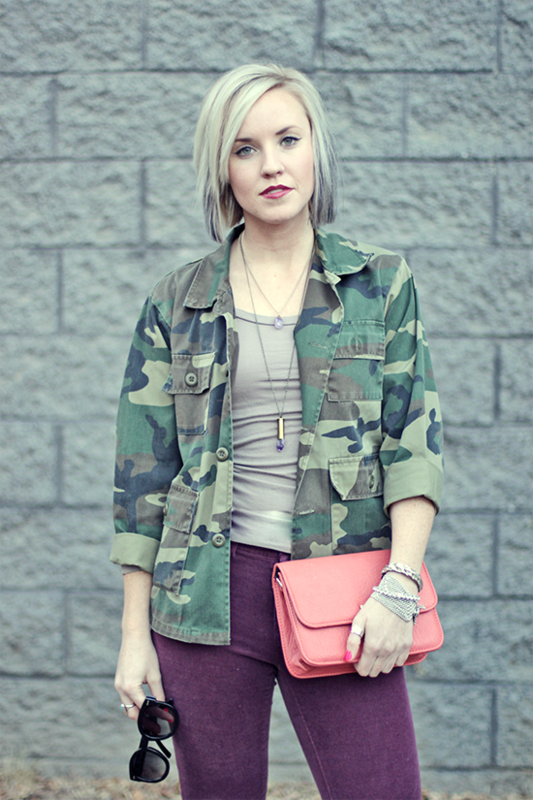 cords: Anthropologie // Jacket: thrifted (simliar) // clutch: Modcloth (simliar) // Sunnies: Forever21 Do you guys have a camo piece yet? It’s basically a neutral. I mixed coral and plum with it, so that’s got to be breaking down some barriers for you. These are one of my favorite booties for fall//winter and I sadly had them stashed away in the back of the closet and have neglected them for one too many months. A good find from DSW a few years back. P.S. these booties don’t even hurt feet–crazy I know! It’s funny because you would think buying a bright or bold colored pant would limit the amount of outfits you could make versus a denim or black. I could name about 100 colors that would match with plum. 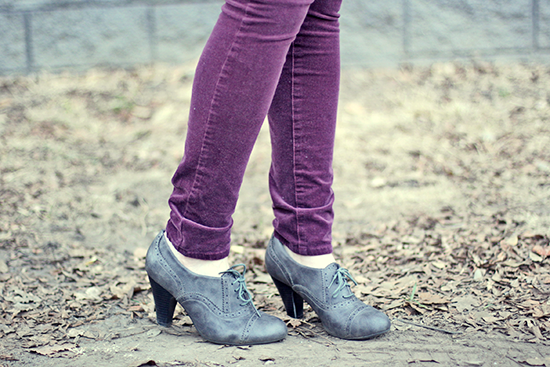 If you want to see another way I’ve styled these same pants, click here. Let me know which look you prefer. Hope you’re having a good week! adorable look. those cords are so cute! Nice outfit! I like the camo! 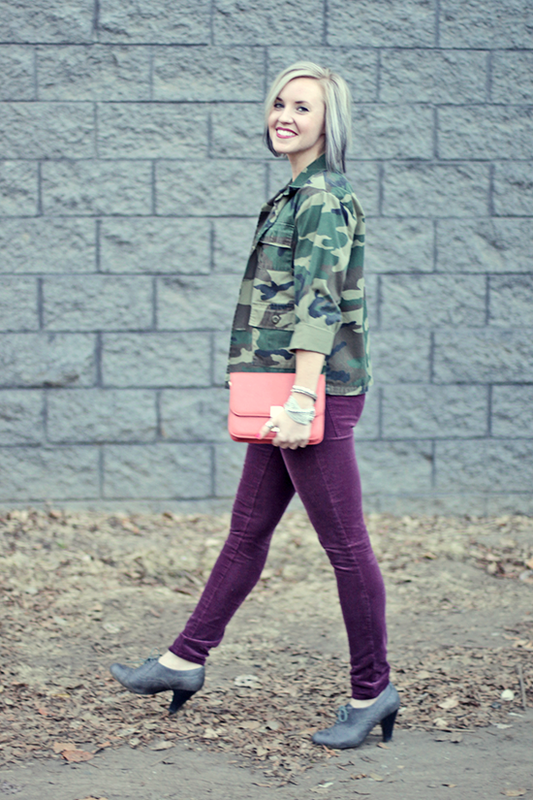 Ok, why have I not thought to pair my burgundy skinnys with my camo jacket??? I adore this entire outfit.